Do you dread bringing out the Christmas ornaments when it’s time to decorate the tree? 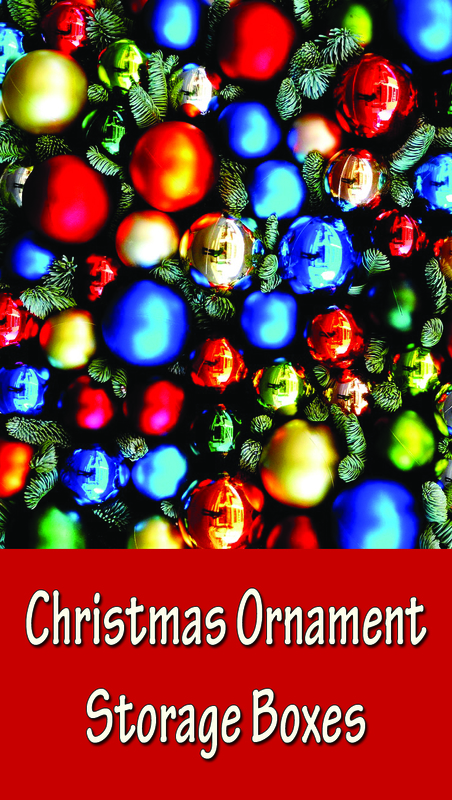 Are you not looking forward to sorting through a mess of disorganized and possibly broken ornaments? This year when you take down your tree be prepared with some Christmas ornament storage boxes. This will make putting away the ornaments a simple chore and ensure that all of your cherished decorations will be safe and organized. Most of these Christmas ornament storage boxes have an individual compartment for each ornament. Some have a clear top so you can see what you have stored. 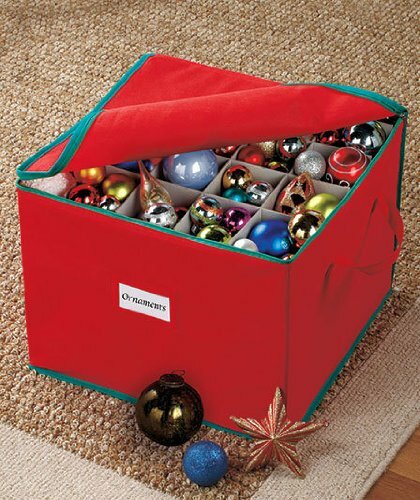 Each ornament storage container will make your next Christmas much easier by having your treasured ornaments protected, organized, and all in one piece. No sad surprises of broken ornaments that were not properly packed away. It makes me very happy to have my Christmas decorations put away in an orderly manner so I don’t have to stress over them. To see more ornament storage boxes at Amazon,CLICK HERE . I have a good selection of Christmas ornament storage boxes here on this page. The Snap ‘N Stack boxes have snap together trays that will hold between 27 and 48 ornaments. The boxes themselves are very sturdy. The dividers are cardboard and some reviewers say that they are flimsy and not suitable for good quality ornaments. Others say that they work fine and they are thrilled with the product. The dividers can be arranged in a couple of different configurations so that is a plus if you have different sized ornaments. They have a modular, stackable design which works very well. The box on the right has rectangular trays to accommodate different shaped items such as tree toppers or garlands. These storage boxes cost very little compared to the hassle they’ll save you next year! The Christmas ornament storage containers below come with differing features such as drawers, trays, handles for carrying, or zipper closures. Which ones you choose will depend on the configuration you need and personal preference. It also might hinge on the space you have available for storing the boxes. Another benefit is that your decorations will remain dust free and you won’t have to spend time cleaning them. All in all these boxes are a smart idea and can remove some stress from your holiday which is always a good thing! What kind of Christmas ornament storage box do you need? Do you want one that fits under the bed? Do you have a lot of room in a storage area or attic? Maybe you’d like a clear one so you can see what you have stored. Take a look at the storage boxes we have shown here. There’s something for everyone. I love the decorative red one with snowflakes and the one with a handle seems convenient. Storage Organizer For Ornaments Ornament Organizer & Storage Bag Ornament Chest – 3-Tier Storage Christmas Ornament Storage Case.